Stretching is the process of reaching forth and extending to make something longer or wider. 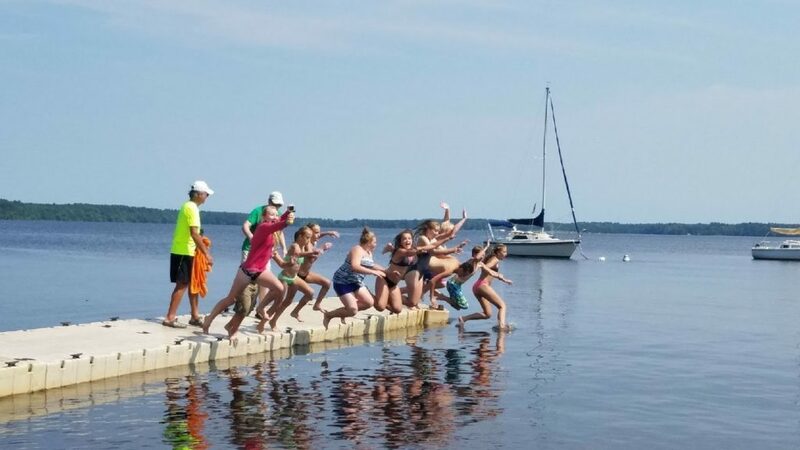 That is exactly what middle school youth from St. James Trinity and English Lutheran Church are doing this summer. 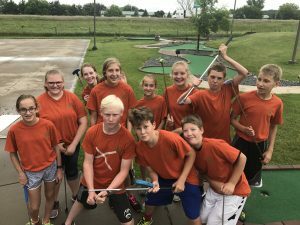 Students enrolled in the “Summer Stretch” program are given opportunities to stretch through service, recreation, Bible study and worship. The Summer Stretch idea was started in the Twin Cities. There are now over 50 different Summer Stretch groups in Minnesota and Wisconsin. There are several in Eau Claire, but this is the first one in the Chippewa Falls/Fall Creek area. Each group designs its own programming for the summer, so no two groups are alike. This summer there are 11 middle school participants and one high school aged counselor. There are three youth from St. James Trinity and nine from English Lutheran Church. Each day there are two adult leaders and chaperones to help out or provide transportation. Pastor Rick has already joined the group in several activities. owed by lunch and fun activities. During one stretch day, the students washed windows and made tie blankets at St. James Trinity. 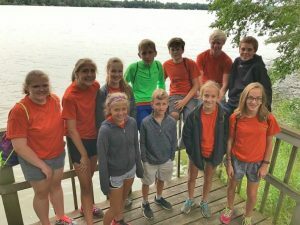 At several others, the students joined summer stretch groups from Eau Claire to pick up trash, weed around the Boys and Girls Club and help make picnic tables. They also had a great time at Action City where they played miniature golf and took group selfies! A different stretch day involved going to Luther Park to weed their gardens, see the chickens, go swimming and play games including Gaga Ball and 9 Square in the Air. The last regular summer stretch day consisted of painting outside benches at English Lutheran Church, followed by swimming and sailing on Lake Wissota. The group has already been planning ideas for next year’s program, which will likely include friends of current participants who can’t wait to join the fun. Several of the youth from this year plan to move up from being participants to being counselors and devotion leaders next summer. Doing community based activities with a Christian service focus is clearly contagious! 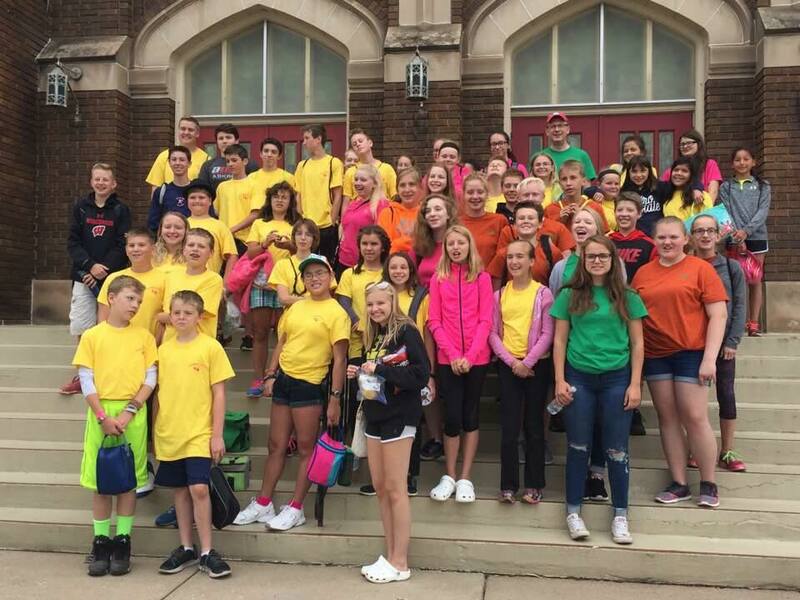 In the final stretch activity of the summer, these participants, as well as others from the Twin Cities area and Eau Claire, will join together at Valley Fair in Shakopee, Minnesota. They are excited to meet new friends and enjoy a day filled with camaraderie, laughter and fun. Zoe Vogler is the leader of the Summer Stretch program. 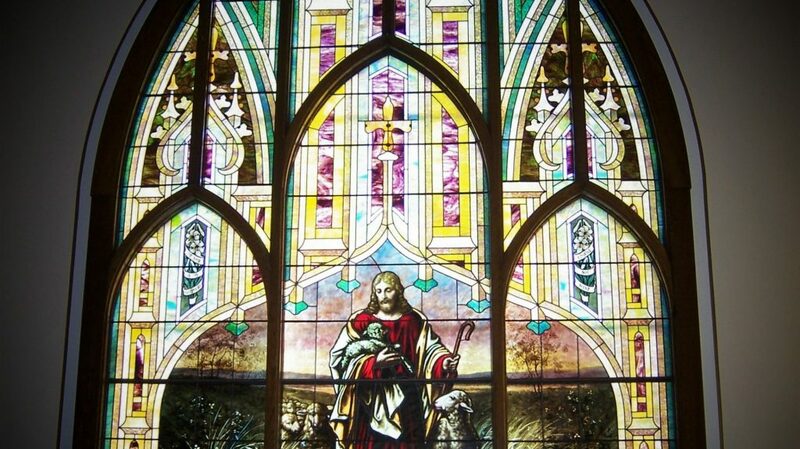 She is based at English Lutheran Church in Bateman. Her excitement at working with the students is obvious. 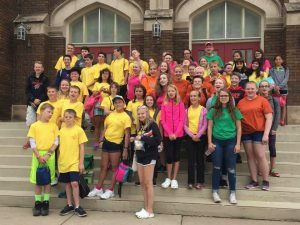 In her words, “It’s been fun for the youth to see that there are service projects in our churches and out in the community – we don’t have to go far to find something to do. I have a great group of youth who have been serving God and having so much fun!” Clearly, she is enjoying stretching along with the youth!